Should you conclude there is sufficient evidence or reason for belief in God and that He is a personal deity, you will next likely decide whether to practice an established religion. Either way there will be a critical subsequent step – relationship to or experience of the divine. There are three basic methods of this interaction – prayer, spiritual experience, and meditation or contemplation. Non-crisis prayer however requires more conscience belief and is experienced as calming and rewarding in itself to its practitioners. It can lead to a spiritual experience – the topic of the next section. 1Brody, Baruch A. Readings in the Philosophy of Religion. Prentice-Hall, Inc. Englewood Cliffs, NJ. 1974. ISBN 0-13-759340-6, pages. 546-547. 2Tillich, Paul, Systematic Theology, The University of Chicago Press, 1967. ISBN 0-226-80336-8. Volume 1 p. 267. 3Perry, Whiteall N., A Treasury of Traditional Wisdom. Fons Vitae Edition, 2000. ISBN 1-887752-33-1, p.524. 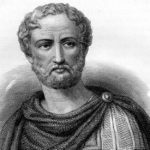 “True religion is rather the power to contemplate nature with a mind set at peace.” – Lucretius. 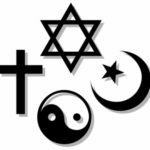 Traditionally there are 11 recognized major world religions: Judaism, Christianity, Islam, Buddhism, Hinduism, Jainism, Zoroastrianism, Confucianism, Taoism, Shinto, and Sikhism (several have major branches). Most of us have first-hand experience of one or more of these religions and have practiced a religion at least part of our life. One of the great enigmas of humanity is the fact that each religion believes itself to be true and the others untrue. 1Webster’s New Universal Unabridged Dictionary, Barnes & Noble, Inc. 2003. ISBN 0-7607-4975-2, p. 1628 – definition 1. 2Edwards, Paul (editor), The Encyclopedia of Philosophy. Macmillan Publishing Co., Inc. & The Free Press, 1972. Volume 7, pages 142-143. 3God and Mankind: Comparative Religions, Robert Oden. The Teaching Company, 1998. 4Adler, Mortimer, Truth in Religion. MacMillan Publishing Company, New York. 1990. ISBN 0-02-500225-2, Chapter 5, pages 101-110. 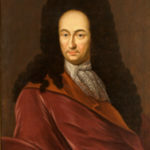 5Voltaire, Philosophical Dictionary. Basic Books, Inc. New York. 1962. Page 445. Sternglass, a physicist, takes a different approach in this book. He develops Georges LeMaitre’s original theory of the ‘primeval atom’ as an extremely heavy and rapidly rotating electron-positron pair within which the mass of the universe is contained by virtue of its energy (think E=mc2). The origin of the this pair is hypothesized as coming from a ‘vortex ring’ or superstring that vibrates so violently that it pinches itself in half with the two ends rotating at 180 degrees relative to each other creating the first pair of charges. Subsequently 270 divisions of this original pair over about 15 trillion years led to the Big Bang and the mass and structure of the universe with all parts still rotating and including some ‘seed pairs’ – clusters of more massive electron-proton pairs that divided later to become galaxies and stars. One advantage of the theory is its explanation of the stability of the universe as the balance of the centrifugal force of the rotating universe (Einstein’s “cosmologic constant”) to the gravitational attraction of its parts. It also relies on simpler factors than the standard theory – just the mass and charge of the electron, the speed of light, and Planck’s constant. It may also explain Guth’s inflation, quasars, continued star formation, dark matter, and the relative small size of distant galaxies detected by the Hubble telescope. The other two times he alludes to God are in the first and last chapters when he tries to come to terms with his own theory. His closing paragraph starts, “The architect of this design and the energy required to bring this about remain a source of mystery, awe, and wonder beyond the ken of science.” He gives the philosopher and the scientist a lot to contemplate. 1 Sternglass, Ernest J., Before the Big Bang. Four Walls Eight Windows, New York, 1997. ISBN 1-56858-087-8. 2Hoyle, Fred, The Nature of the Universe. Harper & Brothers, New York, 1950, p. 124. Fred Hoyle argued in the 1940s for a cosmology based on the Steady State theory in a series of BBC radio broadcasts in which he gave the moniker “Big Bang” to the competing theory held by Georges Lemaitre. 3Flam, Faye, Sky and Telescope. F+W Media. Volume 137, No. 2, pages 16-21. “Continuous creation…can be represented by precise mathematical equations whose consequences can be worked out and compared with observation. On philosophical grounds I cannot see any good reason for preferring the big bang idea. Indeed it seems to me in the philosophical sense to be a distinctly unsatisfactory notion, since it puts the basic assumption out of sight where can never be challenged by a direct appeal to observation.”2 – Fred Hoyle. While meeting up with my daughter in Fairfield, IL (population 5029), I went to the local library and purchased this book almost in passing. I had not opened it until I noticed the February 2019 issue of Sky and Telescope with the cover line, “What came before the Big Bang?” I thought this would be a fantastic opportunity to think through scientific thoughts on the origin of the universe. 4) a collision of two existing universes in a higher-dimensional space. Meanwhile two other theories are developing. First the bouncing universe of Paul Steinhardt offers a solution without the inexplicable inflation or need for a multiverse. Another is Sean Carroll’s theory that empty space at the highest level of entropy (disorder) contains formless ‘vacuum energy’ which can generate an occasional baby universe based on the uncertainty principle of quantum mechanics. Of course untestable speculations of this type border on metaphysics rather than science though Flam concludes by discussing some recent attempts to sort through these possibilities using observable data. In the last post we began the discussion of subjective belief in God looking at faith, mystical experience, revelation, and miracles. Now we will look at additional subjective rationales. 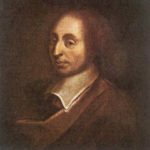 In his Pensees,6 Pascal argues that a decision to believe in God can be reformulated as a wager. To him it is a better bet to believe and follow religious dogma with its minimal downside in exchange for the possibility of an infinite joyous afterlife then to choose disbelief with its minimal upside. Of course the skeptic can simply counter, belief requires behavioral change and sacrifice of our only demonstrable asset – our lives. Alternatively, it seems unlikely that the mere hope of future benefits can lead to genuine conviction. In summary, the basis for most belief in the existence of God is not strict proof, but inexact and subjective reckoning. There are two basic types – compelled as in the case of a mystical experience or a perceived miracle, or justified, as with faith, will, or hope for potential future benefit. Metaphysical longing is perhaps explanatory of belief in God if neither logical argument nor other subjective reasoning succeed. 1Webster’s New Universal Unabridged Dictionary, Barnes & Noble, Inc. 2003. ISBN 0-7607-4975-2, p. 693 – definition 2. 2Edwards, Paul (editor), The Encyclopedia of Philosophy. Macmillan Publishing Co., Inc. & The Free Press, 1972. Volume 3, pages 165-166. 3James, William, The Varieties of Religious Experience. Penguin Books, 1982. ISBN 978-0-14-039034-6, pages 380-381, 422. 4Honderich, Ted (editor), The Oxford Guide to Philosophy. Oxford University Press, 2005. ISBN 978-0-19-534093-8, page 615. 5James, William, The Will to Believe and Other Essays. Dover Publications, New York, 1956. ISBN 48620291-7, pages 1-31. 6Pascal, Blaise, Pensees. Encyclopaedia Britanica, 1952. The Great Books, Volume 33, pages 214-215. 7Scruton, Roger, An Intelligent Person’s Guide to Philosophy. Penguin Books. New York, 1999. ISBN 0 14 027516 9, page 89. If we define faith as “belief that is not based on proof,”1 it could be argued that as nothing is certain or absolutely proven, all human beliefs are based on faith. 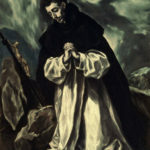 Thomas Aquinas states faith stands between scientific knowledge and ordinary opinion, involves the unseen, cannot be arrived at by reasoning, and depends on divine grace. Friedrich Schleiermacher sees it is a kind of feeling of absolute dependence on a higher reality. Soren Kierkegaard sees critical human truths as subjective and emphasizes the objective uncertainty of the religious realm must be reached by a ‘leap of faith.’2 Skeptics however are troubled by the apparent overlap of faith and superstition. By revelation I mean religious texts accepted as evidence of the existence of God (as opposed to direct revelation by God which I would include in mystical experience). Obviously, the Bible, Koran, and the Vedas serve as justification of the beliefs for many religious. The validity and historical accuracy of these texts is of course open to debate and acceptance of their divine origin must still be based on faith. Miracles are defined as “violations of a law of nature by a supernatural being.”4 They are presumably rare in occurrence and hence the source of belief by the minority. 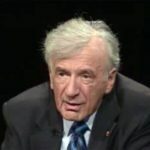 In addition the concept of a miracle suffers from some logical inconsistency – can an event occur in the world and still not be defined as natural? Lack of explanation by known physical law is not proof of supernatural cause; as an explanation it simply begs the question of cause. The last section presented the argument from evil as evidence against the existence of God as all-powerful, all-knowing, and all-good. In this section we will think through some additional reasoning used in challenging the existence of a deity with these attributes, and as creator of the universe. The first type of contentions are based on the logic of God’s presumed characteristics. The term all-powerful appears to be logically inconsistent. Can God make 2+2 = 5? Does God have the power to limit His own power or to end his existence? If God is all-good, does he have the ability to cause evil? Presumably the answer to these questions is no, in which case there is a limit to his power. The traditional response to these arguments is to say that his power is limited to the logically possible. But in that case God is limited by something outside of Himself, logic, making God something less than the greatest being imaginable or the totality of reality. Similarly, if free agency exists, then God cannot force a free being to act in a particular manner, and again He is limited. If free will is real, then God cannot “know” what a free being will do. It seems odd if not irrational to say God always knew Shakespeare would write Hamlet, and every word of the play before Shakespeare wrote it; in which case, is Shakespeare truly its author? Rational limits on God’s power and knowledge undermine the attributes of omnipotence and omniscience . The second type of disputation is from the scientific standpoint. As we learn increasing details on the origin of the cosmos and the physical laws that govern it, it appears to be progressively unnecessary to postulate a creator. It simply adds unverifiable and unnecessary complexity to cosmology. If any evolving scientific explanation is countered by the theologian as being just one more step back to the final explanation of a ‘hypothetical’ divine being, it appears no better than insisting on the existence of unicorns in the absence of evidence for them. 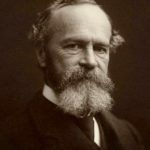 Philosophically, the theologian should be able to present positive evidence of His existence in the face of modern science rather than default to the position that scientists or nonbelievers must disprove his existence. At the end of the day, logic and common experience of the world appear unable to prove the existence of or even a high likelihood of the Divine (at least in the traditional form). Rather faith, mystical experience, and the like seem to be the basis for most religious belief. We will discuss these in the next blog. 6) reasons beyond human understanding (the conclusion of the biblical Job). None of these is completely successful and the details of these responses are beyond the scope of this site. However readers will have little trouble finding detailed discussions in readily available books and on websites and in debates posted on YouTube. Nonetheless, for most philosophers, I suspect the reality of evil in the world makes an all-powerful, all-knowing, and all-good God implausible and perhaps a logical contradiction. In the last two sections, we examined the ontological and cosmological arguments for the existence of God. 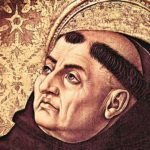 Now we will look at the teleological argument which is based on thinking about the possibility of a design of the universe (also seen in Aquinas’ fifth way). It was most clearly articulated in its early form by William Paley in his Natural Theology. He points out that while we might find a stone on the ground and assume it to be unworthy of explanation, if we find a watch on the ground, we naturally ask how it came into existence recognizing the parts are so placed as to demonstrate a purpose and thus require a designer. He then applies that metaphor to the universe in general and to living beings in particular, seeing them as mechanisms with many interacting parts that similarly must have a designer, that is, God. David Hume in his Dialogues Concerning Natural Religion counters that there are a finite number of configurations of particles and given adequate time, they would eventually take on forms that appear designed- that is suggesting chance could lead to the apparent design of the universe and living things. He also points out that this argument allows for multiple designers, perhaps mortal rather than divine, and that the imperfections in the universe argue against a particularly excellent designer. Later science, including physics, cosmology, and biology (for example the theory of evolution) undermined much of Paley’s simplistic argument, but left an enigma. We appear to be able to demonstrate many of the physical laws underlying the universe, matter, and life, but the probability of the universe appearing spontaneously in a form with these finely tuned physical laws appears to be unlikely to be the result of chance alone. For instance take the finely tuned gravitational or cosmological constants which mathematics tell us could not have been off by 1/1060 to 1/10120 without the universe flying apart or collapsing in on itself. However the idea of a multiverse borders on metaphysical speculation and is not based on science per se. Moreover the postulation of infinite universes seems to violate ‘Ockham’s razor’ wherein explanations should not multiply assumptions unnecessarily. Alternatively, the skeptic would point out the infinitesimal likelihood of a spontaneous creator with the ability to fine tune the universe we inhabit. 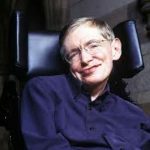 1Hawking, Stephen, A Brief History of Time. Bantam Books, 1996. ISBN: 978-0-307-29117-2, Chapter 8. 1. Motion – what is moved must be moved by another and so forth, but one cannot go back infinitely, therefore there must be a first mover which is God. 2. Cause – all contingent things have a cause and again the non-infinite regress takes one to the first cause which is God. 3. Possibility – all individual things are possible, but must derive from something ultimately necessary, that is God. This is an example of an a posteriori argument; it depends on experience of the world rather than entirely on logic. There are cogent arguments against it, for example, David Hume argues that an infinite series of causes or motions is not illogical and needs no outside explanation. He also denies the meaning of necessary existence and points out that the universe itself might be necessarily existent. Very involved arguments continue into modern times, some of which make up an entire chapter in Baruch Brody’s Readings in the Philosophy of Religion and an intriguing entry in The Encyclopedia of Philosophy, Volume 2 for the curious. 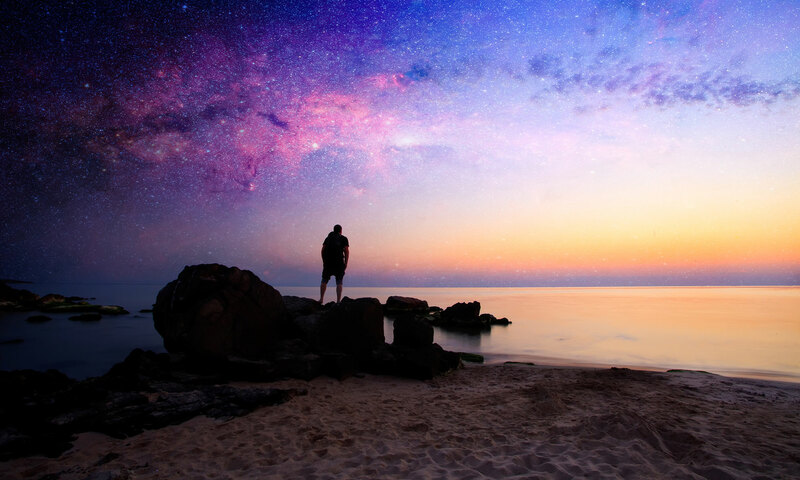 Perhaps the critical take-away is that the cosmological argument is the theologian’s answer to the question: ‘Why is there anything at all?’- perhaps the most profound question in philosophy. Later we will consider other proposed answers. 5. 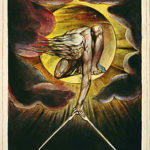 World Governance – things are directed to an end, which requires an intelligent director which for the universe is God.